Spouses can apply for the UK visa either from within the UK or from an outside country. If you are already in the UK on a work visa, student visa, or fiancé visa that is valid for more than six months, you may be allowed to switch to a UK spousal visa. Holders of a spousal visa are permitted to work or study in the UK. How Long is a Spousal Visa Valid For? If you apply for the visa from outside the UK, it is valid for 33 months. If you apply from within the UK, the visa is valid for 30 months. You can apply for a 30-month extension. If you wish to enter the United Kingdom on the basis of a relationship with a UK national, you will have to apply for entry clearance first. If you apply for clearance from within the UK, you need to have leave to remain in the country on a visa that is valid for six months at the time of application. Children under 18 years of age are allowed to enter the country as your dependents, however, you should submit an application for them when you apply for your spousal visa. Your sponsoring spouse will be required to show an income for a certain amount and this level may vary depending on the number of dependent children requiring sponsorship. What Happens if the Relationship Ends Before or After the Visa Application? If the relationship comes to an end while your partner has limited permission to remain in or enter the UK, you will need to notify the UKBA, who will decide whether or not to cancel your former partner’s permission to enter or stay in the United Kingdom. A former partner may qualify to remain in the country on another basis, such as a student visa or settlement visa. There may also be compassionate reasons as to why they should remain in the UK. If you would like to discuss your application for a spousal visa, student visa, settlement visa, or any other type of UK visa, our offices are based in the UK and New York. All our attorneys are trained and qualified in both Irish and UK law. Contact us for a free consultation to discuss your options. A very important factor for a UK Spousal visa is ensuring that you meet the financial requirement. Simply providing bank statements showing monies going into your account is not enough. 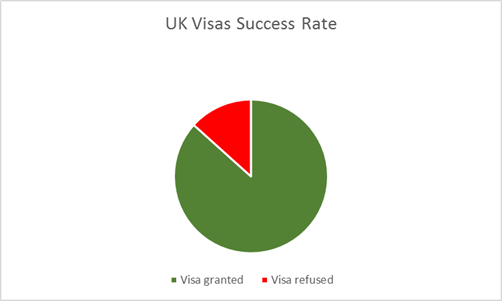 Majority of cases are refused solely because they are not providing the correct documents to prove that they meet the financial requirements for a UK Spousal Visa. You must be earning £18,600 or above. Six months’ worth of bank statements. Clear and concise documents evidencing where the monies are coming from. There are a number of ways you can satisfy the financial requirements for a UK spousal visa. This can be either via your employment, cash savings, non-employment income etc. If you have savings this can help your UK visa application. It is always useful to have savings to show that you are in a good position to fund your trip to the UK. You must provide 6 months of bank statements showing the savings in your account. If you do not meet the financial requirement for a UK Spousal visa through your employment, there are other ways you can satisfy this. For example, if you have £62,500 in your bank account for the previous 6 months then this will be enough for a UK Spousal visa. You must ensure that the monies have remained in your account throughout the 6 months, can be withdrawn immediately and they have been in your name or yours and your partners name jointly. That you owned the funds 6 months prior to the application. A portfolio report or similar documentation from a financial institution confirming the above. Proceeds of a sale from a property is also a common route clients use when satisfying the UK spousal visa financial requirement. Letter of employment from your employer confirming your role and also confirming that you will still be employed once you return from your UK visit. Bank statements evidencing your income from your employment. 6 months of pay slips. A copy of your employment contract evidencing your pay, start date and role. A letter from your employer confirming you work there. A copy of your P60. The process for submitting an UK visa application can be quite simple considering everything is done correctly. Difficulty arises when considering which UK visa applies to you as there are different types of visa’s you can apply for. Some people tend to submit the wrong visa application because they are not aware of what visa to apply for therefore leading to a refusal. At Muldoon Britton, we offer a free consultation with the client, discuss the different option they have and then advise them on what visa is best for them. Step 1: We will send you a questionnaire and supporting documents checklist for you to complete and return to us. Step 2: Complete the correct online application form. Once this is complete we will send you a draft to review before we submit this. Step 3: Once the online application has been submitted we will call you to book your biometric appointment at a place, date and time convenient for you. Step 4: Prepare the supporting documents bundle for your application. Step 5: Submit your application and bundle of documents to the relevant visa centre. The Tribunals Service will inform the visa section that an appeal has been received by sending a IAFT-11 (receipt) and IAFT-2 form. They will request the visa section to review the decision and, if upheld, to prepare an Appeal Bundle. If the ECM agrees with the refusal decision, then the Tribunal will log your appeal on the system and this will be scheduled for either an oral hearing or in writing. The Judge will notify the Tribunal of their decision and this will be sent to the decision directly. If upheld, then the visa section will have 8 weeks to process your visa. The process of an appeal is lengthy and you are advised that this can take over a year depending on the ECM’s decision. 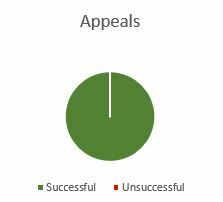 We have had a 100% success rate on succeeding with the appeals we have made. Therefore, if you believe your application has been refused due to an error of the Visa section and you have been given the right to appeal. Don’t delay, contact us now on [ ] if you do not submit your appeal within the 28 days you will lose this right. Details of where treatment or consultation will take place. The applicant has provided a letter from a UK doctor which confirms details of the applicant’s condition, where the treatment is going to take place, what treatment is going to be given. However, no details are given regarding the costs and length of the treatment therefore the application was refused because all the requirements have not been satisfied. The applicant is applying for a UK spousal visa. The applicant’s partner works in the UK. He has been employed for over 7 months and receives a gross annual income of £15,000. They receive non-employment income from a rental property for the previous 12 months prior to making an application. The gross annual income from this is £7,000 they continue to own the property. The applicant’s partner’s total income is therefore £22,000. so, by using a combination of different incomes the financial requirement of £18,600 can be met. The applicant is applying for a UK Spousal visa. The applicant and her partner have recently sold their house and have £72,000 in cash savings in their joint bank account. The monies have only been in their bank account for one month before they make their application. In order to satisfy the 6 months’ criteria for cash savings the applicant must provide documents that the property was owned at the beginning of the 6 months prior to the application by the applicant, their partner or jointly. Documentation evidencing the funds deposited as cash savings are the net proceeds of the sale once any mortgage, loan of third party fees have been paid. If you provide the above evidence, then this is enough to satisfy the cash savings requirement.